A mind body spirit approach to working out that helps you actualize your potential, raise your vibrations and transform your life. A true transformation requires working from the inside out. It’s far more than counting reps, sets and nutrition. To be successful you must let go of limiting beliefs, expand your mind, believe in greater possibilities and, more importantly, believe in yourself. When you align with belief systems that serve you and take action from a place of self-love, your body and your life will expand and transform. This will transcend in every aspect of your life. Centering exercises to ground you, open your heart and set intentions. A positive outcome requires a positive intention. Discover your power and potential through customized workouts with self-love as your fuel. Breathe, recover and heal through a guided meditation, helping you rejuvenate and recharge to become the greatest version of you. The most important reason why you’ll train with me is you. You are what matters most. Since you can only have a positive outcome with a positive intention, self-love is the key to your transformation. 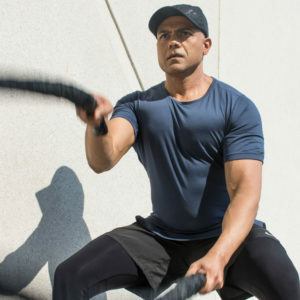 Working out will change and improve your life if you set you as the intention. It would be my honour to help you become the best version of yourself. I’m inviting you to create the body and the life you are dreaming of – because you matter. 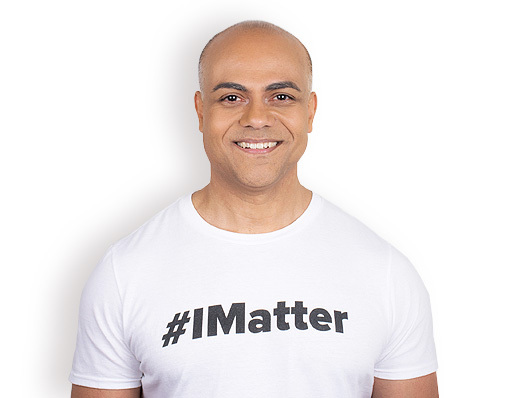 Please join me and help spread the “I Matter” revolution. Tag your workout photos and videos with #IMatter. You are enough. Choose you. You matter. It is my pleasure to help you create a customizable program that suits your needs and lifestyle.